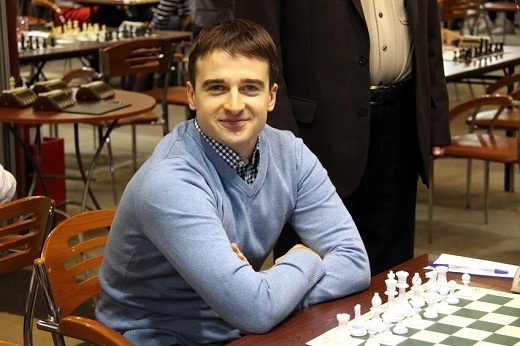 Russian GM Ernesto Inarkiev took the winner’s trophy and top prize in Baku Open A after edging Romanian GM Constantin Lupulescu on tie-break. The two players finished on 7,0/9 points each, in the field of 70 participants from 20 countries, including 28 Grandmasters. The International Chess Festival Baku Open 2014, dedicated to the Independence Day of Republic of Azerbaijan, was held on 22-30th September at the AF Hotel near the Caspian Sea. The Festival was organized by the Azerbaijan Youth & Sport Ministry and Azerbaijan Chess Federation. The total prize fund was 50,000 USD. Open B gathered 163 players rated under 2250 FIDE. FM Aryan Gholami or Iran is sole winner with 8,0/9 points. Full standings below. The chess festivities in Baku continue with the FIDE Grand Prix event on 2nd October.